Building Trust international, Wildlife Conservation Society and the Royal Government of Cambodia announce details of an Eco-tourism Interpretation Centre which will act as a hub for eco-tourism activities in the northern plains of Cambodia and stand as a memorial to the past. Building Trust international have unveiled their latest collaboration with the Wildlife Conservation Society (WCS) with a proposed interpretation centre at Ang Trapeang Thmor in Cambodia. 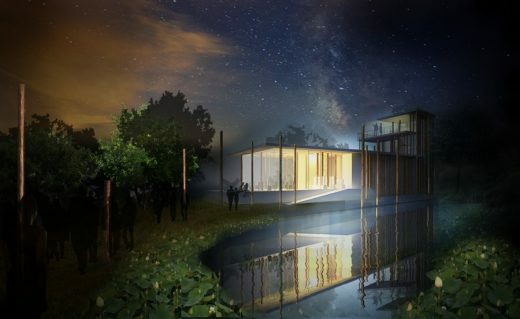 Due to be constructed next year the building will serve to remember the great price Cambodia paid during the Khmer Rouge period, while looking forward to the diverse and spectacular wildlife the country has to offer both local and foreign tourists alike. 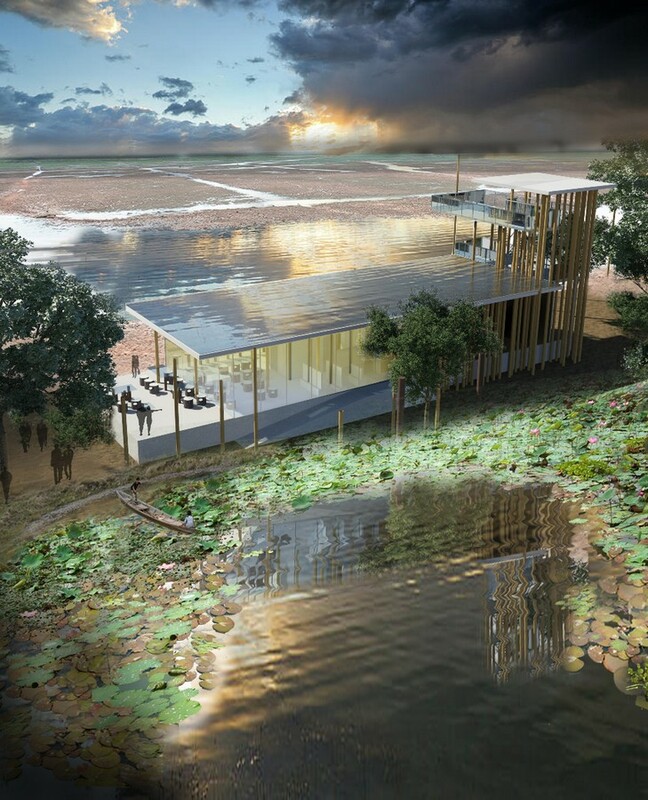 The centre will be a new type of museum created to educate and raise awareness of both natural and cultural heritage. Ang Trapeang Thmor is a 12,650-hectare wildlife reserve located between Angkor Wat and the border of Thailand in north eastern Cambodia. 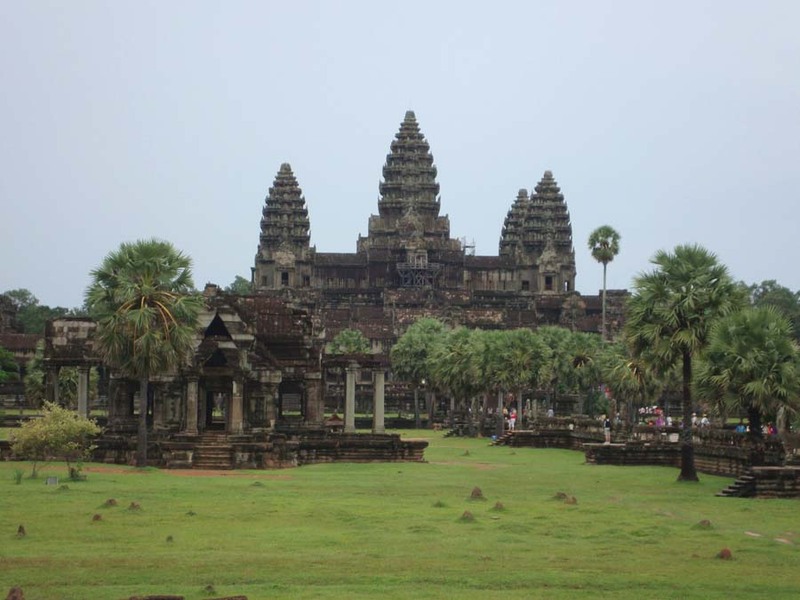 The site was once a natural lake located within a forest which was adapted during the 12th century to feed the rice plains of the Angkorian empire and more recently it became one of the large scale, failed civil engineering projects forced upon the population of Cambodia during the Khmer Rouge period. 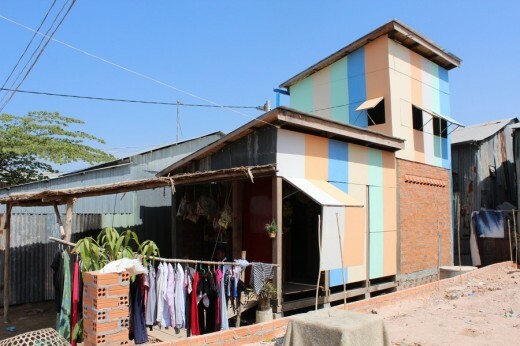 Of the estimated 50,000 people who were tasked with enlarging the massive reservoir around 30,000 people are thought to have died, testament to the truly horrific chapter in Cambodia’s past. 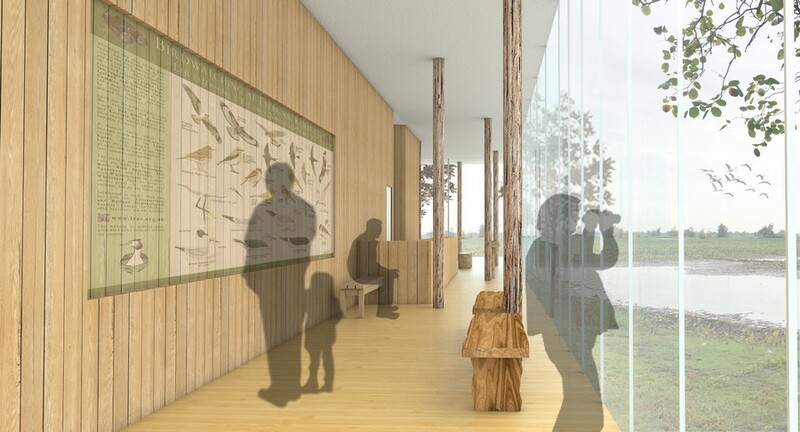 In early 2014, Building Trust international and Atelier COLE were approached to help design a building which could act as a memorial to the past while also connecting people with the incredible opportunities for wildlife observation. Inspired by the forest which once dominated the site. 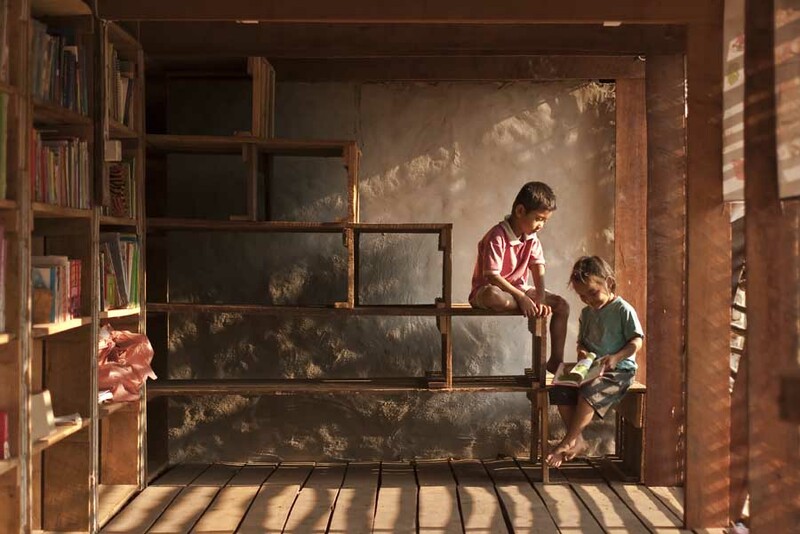 The concept of the building is defined by the untreated rough timber columns that pierce the floor plates and drive up through the floor slabs. Visitors are engaged with the building in the surrounding landscape, with columns breaking free of the building starting in the car park and wetland area. A standing tall metaphor for both nature and man’s ability to overcome adversity. The new facility will offer visitors the opportunity to view endangered species while gaining an eye opening insight into the atrocities which occurred during 1975-1979. Visitors rise up to enter the building and are welcomed by a short history of the sites Angkorian past. Following this guests descend into an interpretation area to experience the darker period of the Khmer Rouge with a short film and personal stories of survivors. 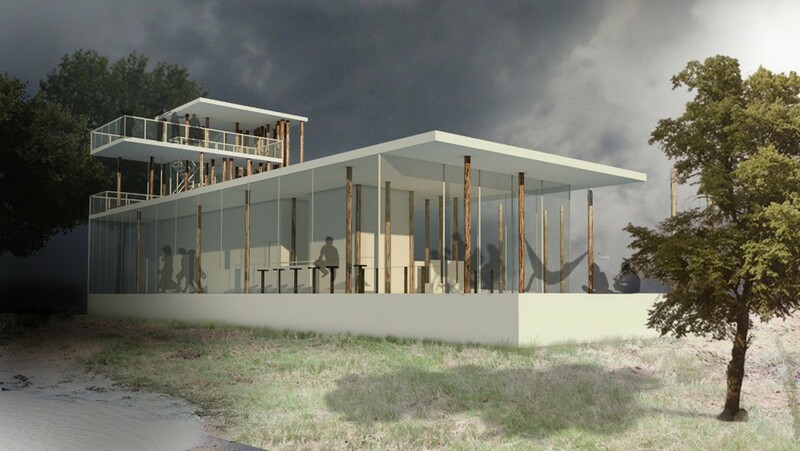 Next visitors rise up a level through the roof slab which houses a reflection pool that gives an opportunity to reflect upon the past while being surrounded by the present splendour of the lake and wildlife reserve. 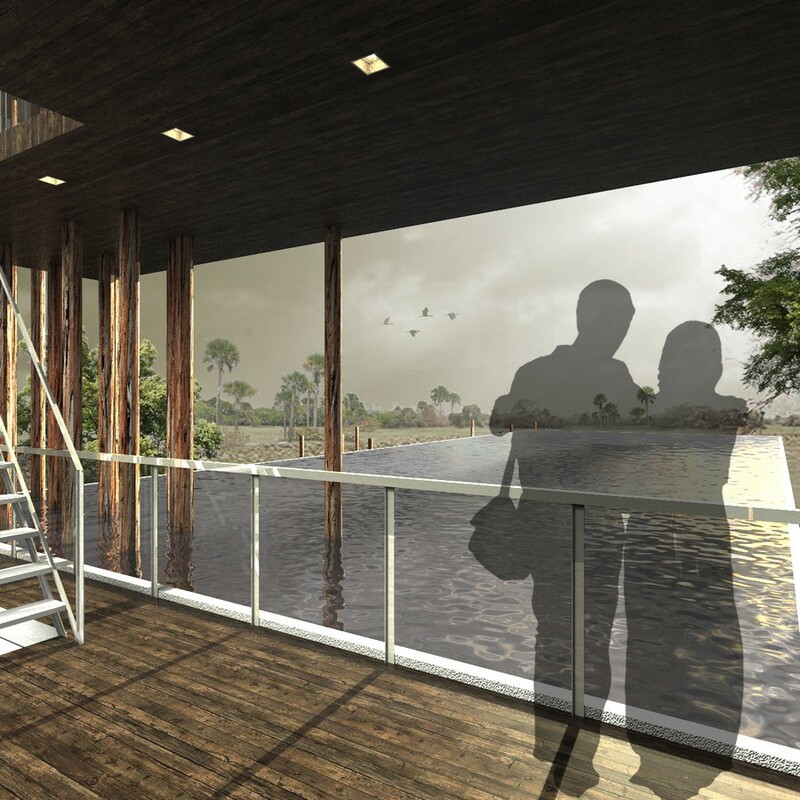 On the upper deck level an outside viewing tower allows guests to take in far reaching views of the wetlands and wildlife. Once back inside the building visitors receive information on the wild birds and other species that can be seen in the area and throughout Cambodia. Also provided are details on protection schemes and education on how to help the conservation efforts. Finally, a cafe and shop which provide support to the local community, has a seating area with wonderful views of Ang Trapeang Thmor. Within the cafe, the feeling of being under a forest canopy is reinforced by the glazed roof which allows light to filter through from the reflection pool on the roof, throwing dappled shadows across the internal spaces.